The products on this website are now distributed by National Springs & Wire Products NZ Ltd, email info@natspring.co.nz to find out more. 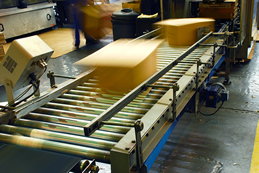 We are a small specialised team of Kiwis with many years experience in manufacturing a wide range of products in many different industries hence our rather eclectic range of products. We have combined our manufacturing knowledge with our Asian relationships to enable us to supply quality products made principally, but not exclusively, in China and source the most competitive cost structures. Our emphasis on animal traps comes from our strong personal interests in the fantastic outdoor environment New Zealand has to offer and our dismay at the loss of so much of our wonderful native flora and fauna through the predation of introduced pests. 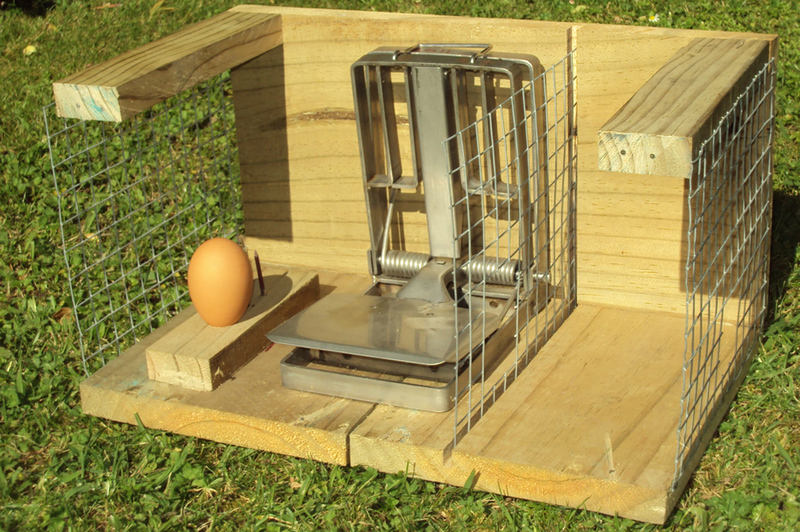 We believe supplying the market with quality animal traps at very competitive prices we can combine putting food on the table for our families with doing our bit to help keep New Zealand birdsong alive for future generations. Combine with Combined Industries to ensure pests are maintained under control and our Beautiful Bush & Forests will be available for our Children to enjoy! 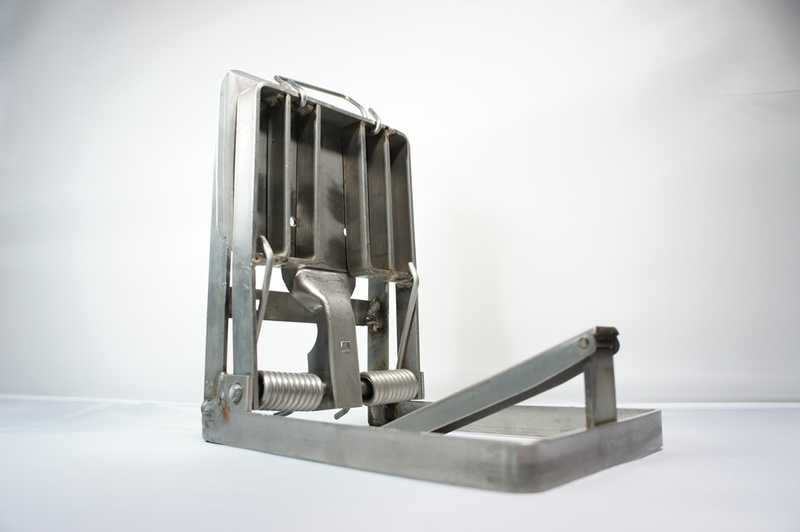 The Warrior Trap is a humane design of kill Trap, which meets the National Animal Welfare Advisory Committee guidelines. Light weight (850grams) and easy to carry into the most dense bush. 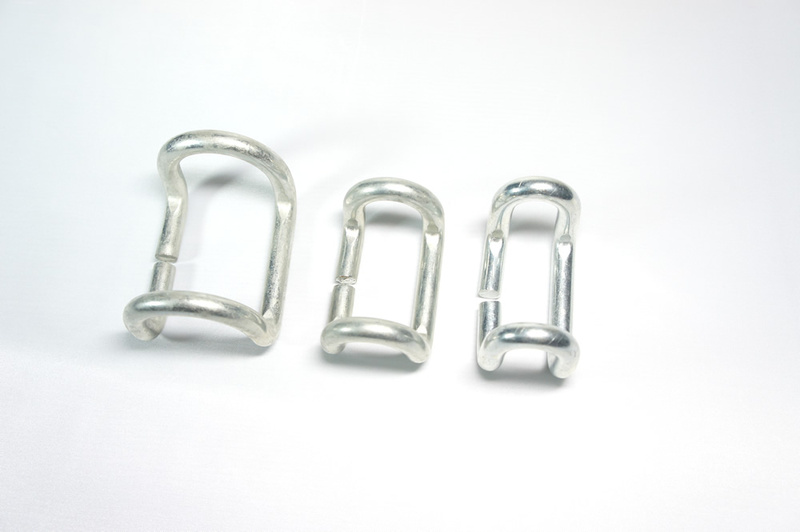 It consists of a strong 1.6mm thick Annealed Spring Steel Body and has proven very popular with Professional Trappers and casual user over many years. 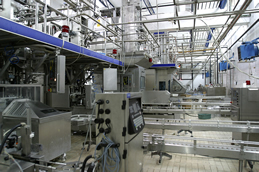 The strong rigid structure is assured to provide many years of success, provided it is treated with respect. Never activate the trap and allow the jaws to snap against each other as permanent damage may occur. 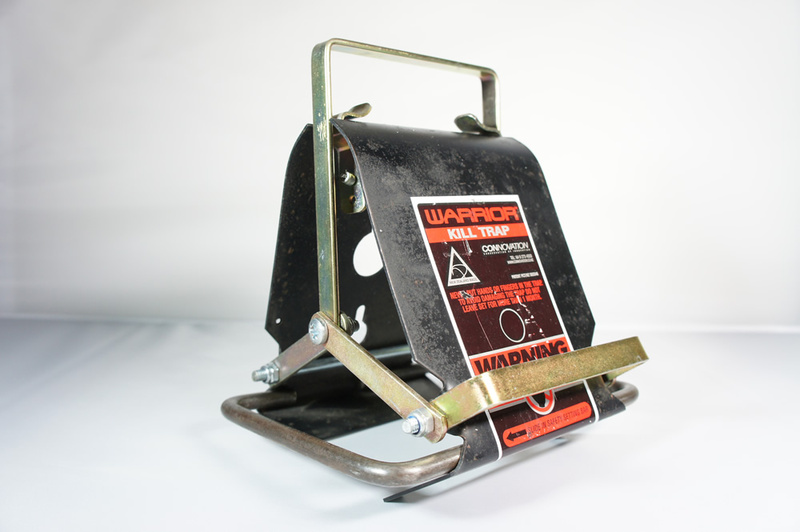 Warrior Traps are designed to have an animal's neck between the spring steel jaws to cushion the impact when they are activated. Regular visits in remote areas are not necessary and often Warriors can be left set for long periods, or until activated. The best means of setting is to choose a flat area on the appropriate tree, post or fence. The Leverage Bar (a 20mm Square light weight, rolled form section, between 400 & 800 long) is essential for quick & simple ease of setting of the Trap. Two holes are drilled into the tree trunk, using the leverage handle as a template which has two 4mm diameter holes pre-drilled at 51mm centres. Two large head roofing screws or similar are screwed into the predrilled holes, leaving the head protruding by 5mm from the tree surface. 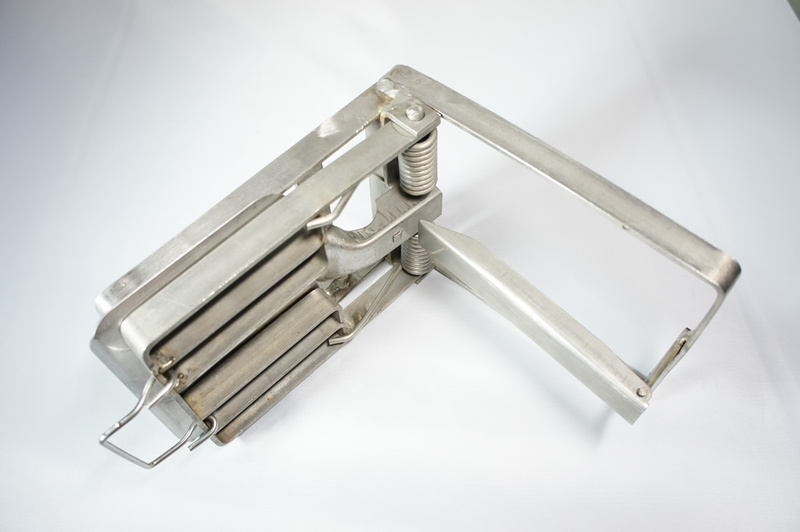 The Trap is simple slid into position and secured in place by the screw heads on the body of the Trap. 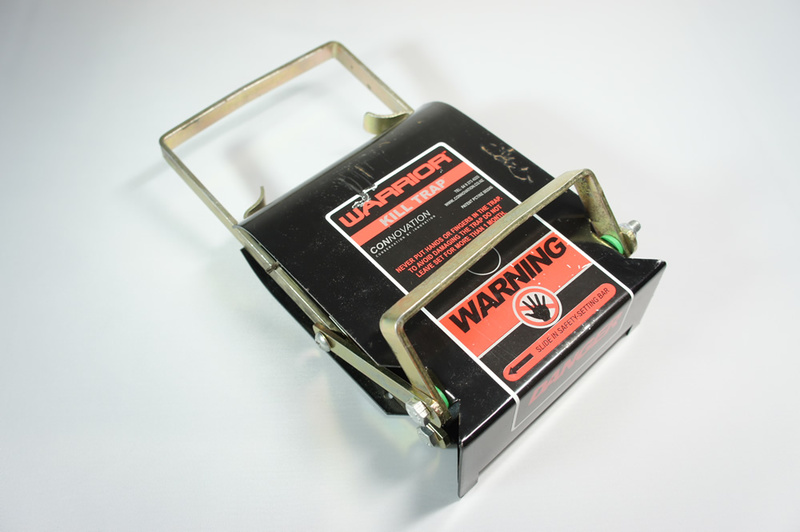 The Leverage Bar is slipped under the Setting Handle at the front of the Trap and levered out and the Rectangular Safety Frame slid between the jaws. The Trap is now safe to set the bait on the Bait Wires at the rear of the Trap. 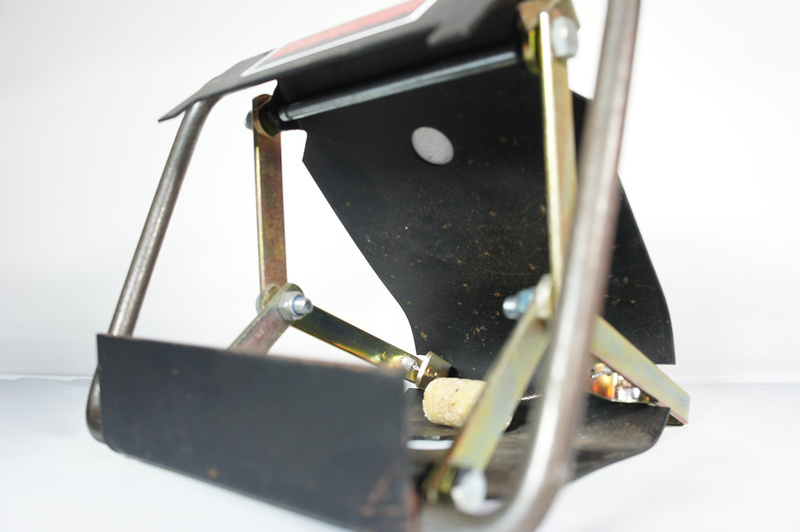 Once the baits are in place the Trap is opened, the Triggers gently activated and the Frame removed. Warning. The Trap is now in the fully set position and dangerous. Be ware! Any bait replacement can be completed without removing the Trap from its position. Simply by using the leverage bar and rectangular Safety Bar again as above. For best results place a "flour streak" up the tree to attract possums. A tug of about 60 grams is sufficient to activate the Trap. Long life baits can be purchased from Connovation or natural baits used in a similar means. Cut wooden dowels and drill a hole up the middle. If desired drill some holes on the circumference to hold the liquids. Soak the dowels in a rice or vegetable oil, spray with raspberry or cinnamon and then to freshen up overspray with a runny paste of icing sugar. The baits will stay reasonably fresh and still attract possums for about a month. A kill Trap fixed permanently in the bottom of a box which is especially designed with tunnels to channel the targeted species through holes in mesh and only allows entry of certain sized mustelids and stops the entry of non targeted species such as kiwi as well as protecting the public. Designed to eradicate rats, stoats, hedgehogs. The Traps are set with a specific tool, then a safety wire applied and baited. The safety wire can then be removed and the lid fastened to seal the top of the box. Both combined (Stainless springs & bait plates and zinc plated steel) versions and All Stainless Traps are available where exposure to sea air is a potential problem with corrosion. 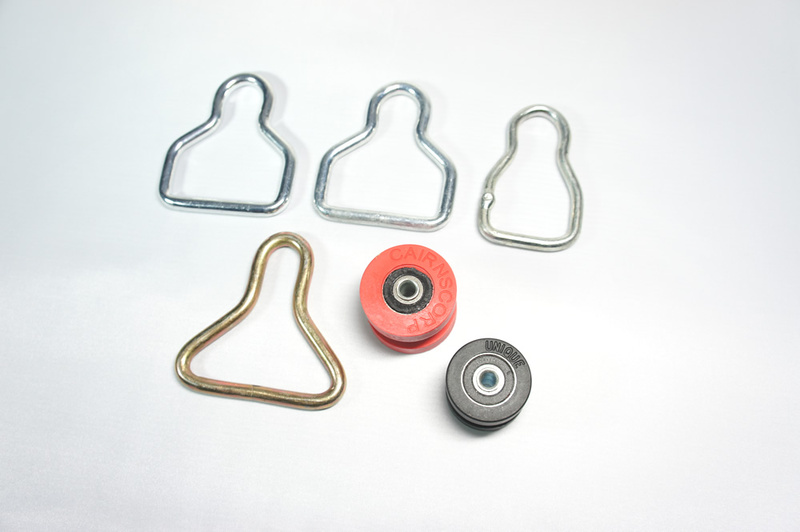 A range of 6.4mm diameter Zinc plated forms to carry the top rollers for curtainside trucks. Webbing widths of 25mm and 50mm wide. 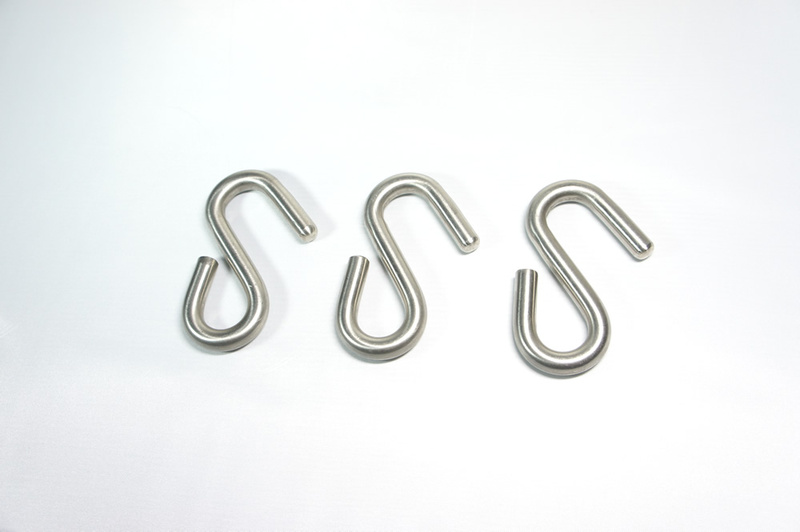 Three sizes of Rave Hooks designed for 20mm and 35mm rails. 3 - 4mm gaps to allow Web pockets to be slipped into hooks. One radiused end and other chamfered to eliminate sharp ends and allow ease in hooking. 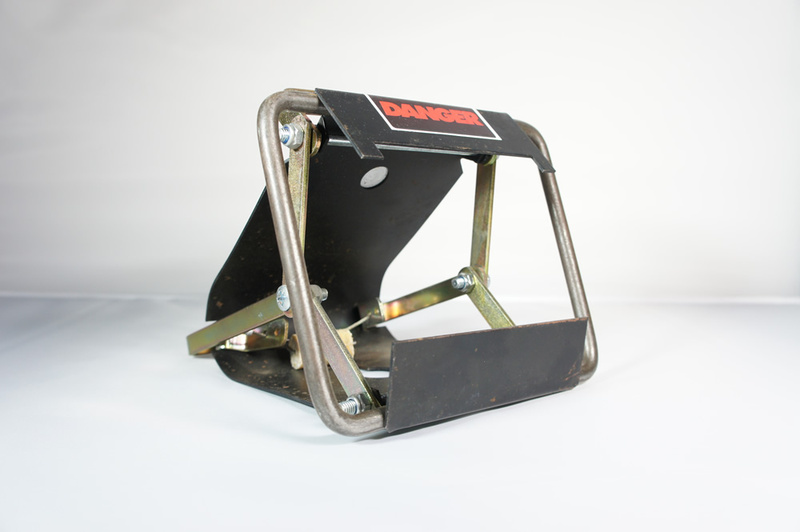 Strong for such applications as winch hooks and on tie downs. 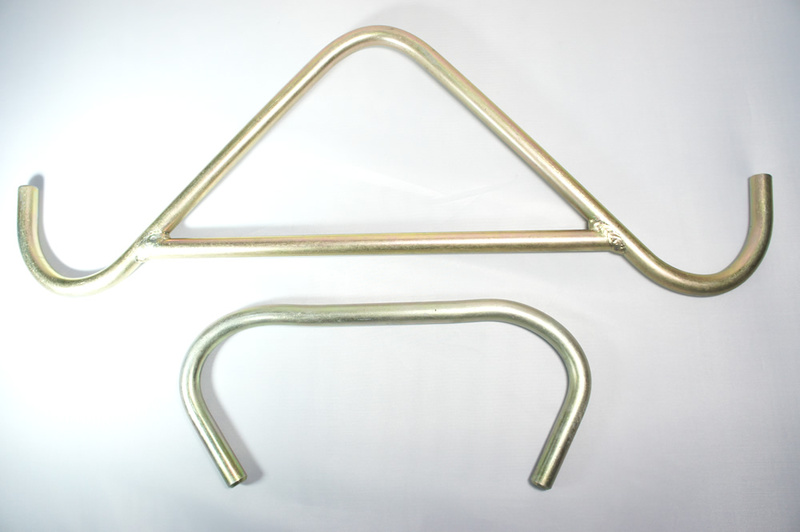 16mm diameter Medium tensile, heavy duty Gambrols & C Hooks.